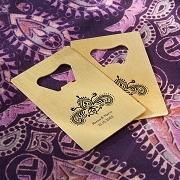 Asian inspired wedding matchbox favors with personalized Indian jewel design stickers. Get ready to say "I do" to these match-made-in-heaven black matchbox favors. 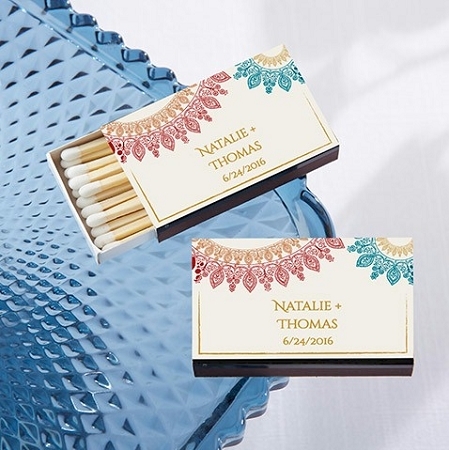 Available with a brightly colored Indian jewel decorative sticker featuring bright pops of teal, ruby and gold, you can personalize these matchboxes with your names, monogram or special occasion details and then hand out to jewel tone wedding or Indian bridal shower. 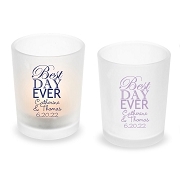 Guests will be able to light their favorite candles and relive memories of your special day.